Millerstown, PA – Today, Wolf Administration cabinet officials were joined by community members as well as students from elementary school, high school, and college for a Cabinet in Your Community event at Greenwood High School in Millerstown. This was the seventh in a series of town-hall style events held across the state in which members of the community can talk with cabinet secretaries and discuss issues important to the region. Featuring Department of Agriculture Secretary Russell Redding, Department of Education Secretary Pedro Rivera, Department of Health Acting Secretary Rachel Levine, and Pennsylvania State Police Commissioner Colonel Tyree Blocker, the department heads provided updates on regional projects and accomplishments and answered questions from the audience. 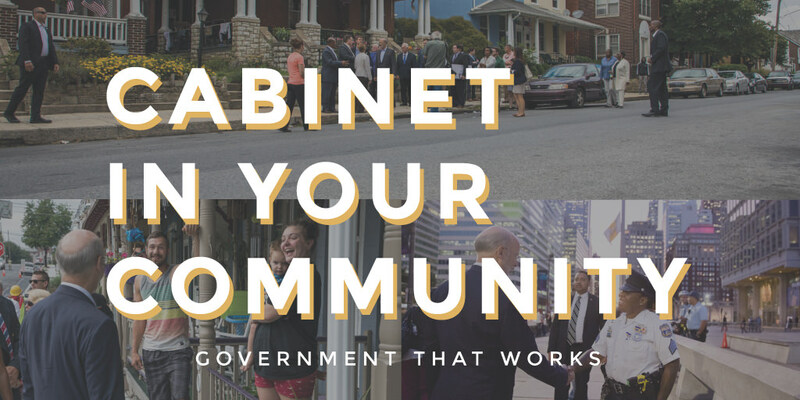 The next Cabinet in Your Community event is currently scheduled for February 27 in East Stroudsburg at the East Stroudsburg University Innovation Center with the cabinet secretaries from the departments of Aging, Agriculture, Community and Economic Development, Environmental Protection, Military and Veterans’ Affairs, and General Services.